Mutations in the dystrophin gene cause Duchenne muscular dystrophy, a hereditary condition that leads to degeneration of both skeletal and cardiac muscle. All DMD patients inevitably develop heart disease (cardiomyopathy), and 30 % of them succumb to congestive heart failure. The mechanism of DMD heart failure is still elusive, partly due to the hard-to-access heart cells from patients. Because no effective treatment exists for DMD heart disease, patients with DMD represent an unmet medical need. 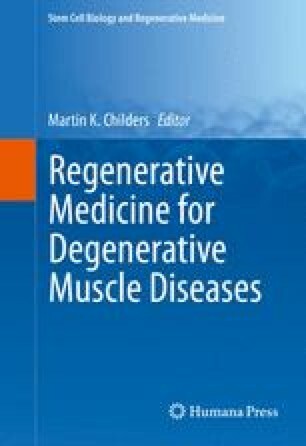 To address this need, we modeled heart disease in DMD using a regenerative medicine technology called cellular reprogramming. Reprogramming involves converting an adult somatic cell into a pluripotent stem cell, called induced pluripotent stem cell (iPSC). IPSCs are further transformed or differentiated into heart cells for study. Reprogramming technology provides vast amounts of heart cells, offering an unprecedented opportunity to study genetic heart diseases like DMD heart failure. Establishing this regenerative medicine platform will not only facilitate exploration of disease etiology, but also provide unlimited personalized material to screen therapeutic compounds for individual patients.